Teachers should grade smarter, not harder. 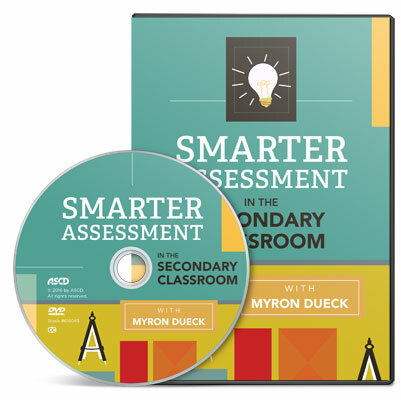 Smarter thinking and planning will actually diminish a teacher's workload. A discussion with a secondary school principal on rethinking assessment and grading policies at the school level. Interviews with an English teacher and a metal/mechanics teacher about their grading and assessment policies. A chat with three of Myron Dueck's former students about their experiences with his grading and assessment policies. 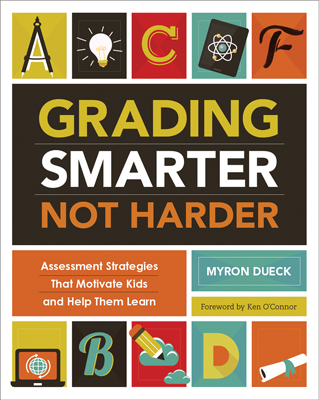 The book Grading Smarter, Not Harder: Assessment Strategies That Motivate Kids and Help Them Learn by Myron Dueck is brimming with reproducible forms, templates, and real-life examples of grading solutions developed to allow students every opportunity to demonstrate their learning. Myron Dueck is a vice principal and teacher in School District 67 in British Columbia, Canada. He has previously taught in Manitoba and on the South Island of New Zealand. Over the past 17 years of teaching, Dueck has had experience in a variety of subjects in grades 3 to 12.